My last Banned Books Giveaway was so successful, and I had so much participation and interaction from you guys, that I’ve decided to do another one! 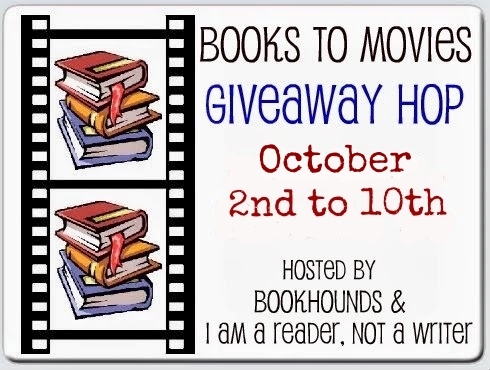 So many of our favourite movies have originated as great books, so to celebrate that I’m going to give away a book that has a movie adaptation! 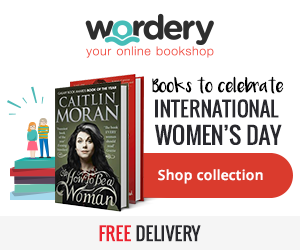 This giveaway is international (as long as The Book Depository ships to you! ), and you can choose any book you like that has been made into a movie, up to the value of $10. Click here to see the full list of blogs taking part in this giveaway hop! This is a great idea! So many movies come from books!! I have no idea what I’d choose if I won though- best get looking for ideas!! It amazes me just how many movies originated as books, even ones I’ve never heard of before, or movies I love and I never knew they were books originally! I would choose Misery because it’s one of Stephen King’s book I haven’t read. I’ve seen the movie but never read the book. The movie was fab! Oooooh great giveaway. I’d definitely get Percy Jackson, not read those yet! Thanks! I just bought the first book! But haven’t read it yet! It’s on my wishlist too! I loved the Time Travelers Wife – both the book and movie! Great pick! I wasn’t interested in it until recently, it’s a chunky read though! I love that book title! Great pick! I would like to have To Kill a Mockingbird. I read it many years ago and would like to read it again and put it on my keeper shelf. One I haven’t read yet! I have a keeper shelf too! I loved Gone Girl! I’ve yet to finish The Book Thief, I started it and set it down again, I think you need to be in the right frame of mind for it because of how it’s narrated. What a great idea! I think I would choose The Fault in Our Stars, by John Green. I know. I’m probably the only person on the planet that hasn’t read it yet! Great pick! I read it at the start of this year and really enjoyed it, even with all the hype! I’ve kind of been putting it off because of the subject, but I feel like I need to read it. I’ll have to have a box of kleenex ready! I would probably choose If I Stay or Speak. They are both extremely moving books. I read If I Stay recently and enjoyed it (though not as much as I was expecting, hype), but Speak is one I’d love to get my hands on! I would choose If I Stay because the movie’s coming out soon and I want to read the book before watching the movie. I read it recently for the same reason! Yep 🙂 I haven’t read it yet either! So many good books in this list, so hard to choose! I just read it this year, it was good! The Maze Runner!! The book sounds great and I’ve been meaning to read it for ages! I haven’t read it yet either and I so want to! I’d choose Delirium by Lauren Oliver. I’ve just finished reading it and can’t wait to see the pilot episode! I would probably choose If I Stay by Gayle Forman. Thanks for the giveaway! The Fault In Our Stars because I still haven’t read it. It was a good read, I only read it at the start of this year. I am so not sure, this is for m y girls & I would let them pick!! I haven’t read the series, or seen the movie yet, either! I would love to get Gone Girl or Divergent, I’ve been wanting to read and watch both. Great picks! I’m really looking forward to the GG movie! The Time Travelers Wife because it’s so romantic and I’m such a sap! Lol we all need a lil romance! So hard to pick! I’d love to get Outlander (technically a tv show but amazing) but if it has to be a movie, I’ll go with either Time Traveler’s Wife of Gone Girl! Thank you so much for the chance to win! TV Shows count 🙂 I want to read it too. I wasn’t really interested before (the cover really put me off), but now I’m intrigued! Both great movie picks too! I would like The Book Thief! I recently saw the movie and, it was very good! I haven’t got around to reading it yet, but want to soon! I would love to get Outlander or If I Stay. Thanks for the great giveaway! The Hunger Games, because I love the movies! Great pick, and great book!